**Time for this post? Reading…8 minutes. Unearthing your treasures…up to you. The need to live is our physical need for such things as food, clothing, shelter, economic well-being, health. The need to love is our social need to relate to other people, to belong, to love and to be loved. The need to learn is our mental need to develop and to grow. 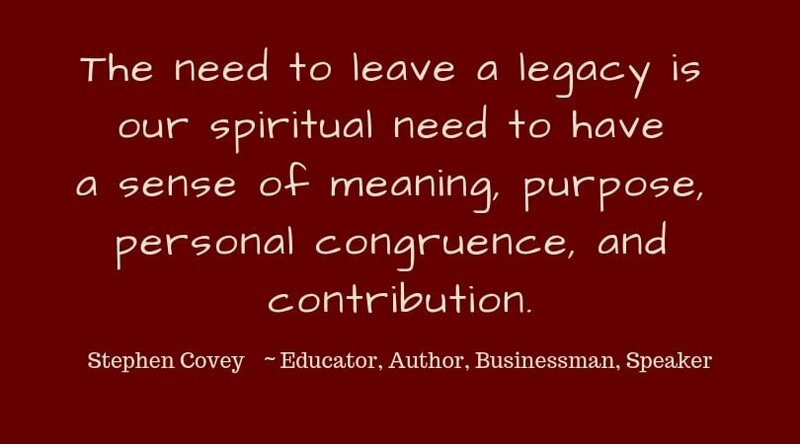 And the need to leave a legacy is our spiritual need to have a sense of meaning, purpose, personal congruence, and contribution. For an expanded description, go here. I was about forty-eight when I read First Things First. I didn’t really understand the legacy part. Now, twenty-four years later, I get it. I’ve reached the stage of life when leaving a legacy becomes the focus. When the horizon seems near, we think about leaving a mark, about being remembered when we are gone. Often we think of a person’s legacy as a large body of work that keeps them in our awareness long after their death. Think of Wayne Dyer, Elvis Presley, Jane Austen. But being remembered is not reserved just for famous people. We all live in association with others, and the connections we foster in our daily lives become a significant part of our legacy. My dear friend Norma was a dietitian and professional home economist, passionate about her profession and her family. When Norma’s granddaughter Katie spoke at her memorial service, it was clear that cooking with Gran was a significant experience. Katie recalled standing on a stool at the kitchen counter, learning what goes into cakes and cookies, and practising how to measure accurately. Today she bakes in a gourmet doughnut shop and is complimented by her employers for her depth of knowledge. Norma was a kind, generous, and quietly determined person. I imagine Katie learned a lot more than baking techniques in the time she spent with her Gran. Sometimes these memories stay top-of-mind, but often they fade over time. Most families have photos of good times and seminal experiences. As our children move through middle age, I think it’s constructive to reconnect them with who they were when they were young and hopeful. We can do this by sorting through the family photos and sharing the treasures. For many people, financial inheritance comes to mind when they hear the word legacy. Money is one of the physical things we leave behind, but not the only one. Most of us have a combination of family heirlooms and our own precious objects with stories of how we acquired them. The stories are an important part of the objects, yet they are lost when we don’t make a conscious effort to pass them along. Without the stories, our belongings become just old things. A few years ago, it hit me that my family would put “fudge” in the blank. I learned the principles of sugar crystallization in a food science lab at university, then developed and refined my fudge-making method over the years. I use the recipe from the lab book, which is the same as almost any basic fudge recipe. Everyone has these recipes. Think about it and I’m sure you’ll come up with at least a few of yours that can’t be duplicated without extra instructions. Maybe it’s something you learned from you mom and it has never been written down. Which reminds me, I must get my mom’s potato salad recipe down on paper with the particular methods that make it like no other. My kids ask me to bring it to family meals, and they will be disappointed if they can’t reproduce the unique texture and flavour when I’m no longer here to do it. Here’s my share. 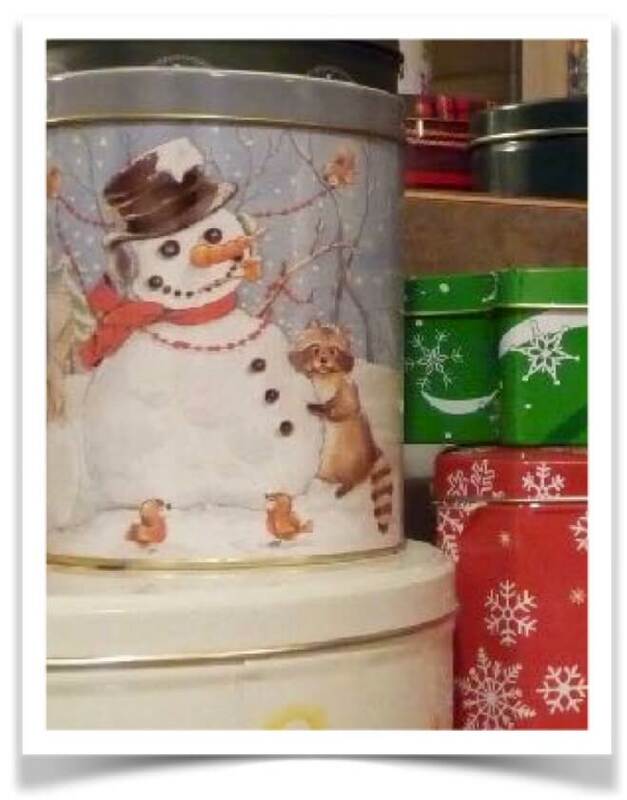 Click on the snowman to find out how to make the fudge that’s in the tin. You’ll get a copy of the recipe sheet (maybe more properly called a booklet!) that I prepared a few years ago so my kids can make fudge as I know it. So…what treasures do you have to share? Not just recipes, but anything that came to mind as you read this blog. Delight and inspire us by leaving your shares in the comment box. 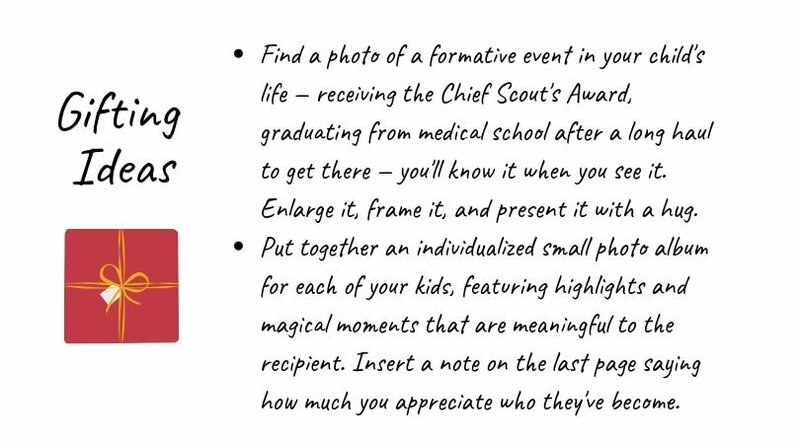 This entry was posted in Conscious Dying, Tying Up Loose Ends and tagged leaving a legacy, Stephen Covey, legacy, First Things First, gift ideas, stories, fudge recipe by Laurana Rayne. Bookmark the permalink. Just an affirmation. I’ve eaten the fudge. It is everything she says it is. No exaggeration on Laurana’s part. I agree Patti. The best, hands down. Oooh and her marshmallows are legacy worthy also. This was an interesting read Laurana. I appreciate thinking of legacy-leaving in different terms than strictly material possessions. I have been interviewing my Mom over the last few years. Slowly but surely logging events and dates, acquiring as much information and knowledge about she and our family as possible. And the process has been a great gift of connection between us. You’ve reminded me that we need to spend some time on it over the holidays and inspired me to make note of a couple of recipe favorites also. Thanks for sharing your legacy-creating project, Susan. It sounds like a rich experience on many levels. And it reminds me that the younger generation can be of service by initiating a project like this. Elders may not always have the energy to undertake it, or they may feel no one cares enough to make it worth the effort of compiling the information and stories on their own.